The last Saturday in October presents us with a special observance: National Forgiveness Day. July 7th is celebrated as Global Forgiveness Day. 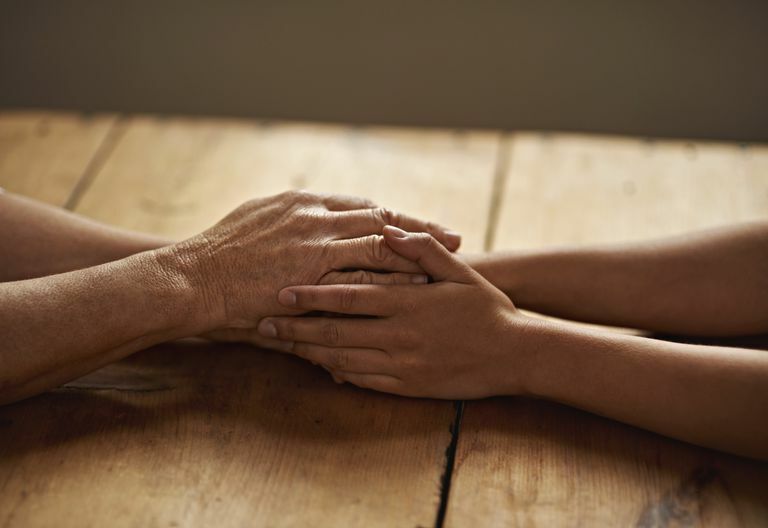 These are great opportunities to remind ourselves of the importance of forgiveness, to value the forgiveness that others have offered us in the past, and to focus on forgiving those we may need to forgive—including ourselves. Focusing on forgiveness is important for many reasons. We all know that holding onto anger hurts us more than it hurts the object of that anger. Unresolved anger can create health problems just as unmanaged stress can, and it robs us of happiness as well. Knowing this, however, doesn't always make the anger magically dissolve. It's sometimes really difficult to forgive. An official reminder. When we're holding onto anger, sometimes we don't realize when we've gotten to the point where we are ready to forgive. Having a special day when we are encouraged to look inward can help us to get to a place of being ready to forgive, or realize that we're already there. Momentum from a group. It also helps to have the motivation and momentum to get past our personal obstacles to forgiveness and forgive already. Having a day focused on forgiveness, a day that everyone is encouraged to celebrate can provide motivation and momentum at the same time. A fresh start for the holidays. With the holiday season approaching, we may see family and friends we haven't seen for a while; it's good to clear out any anger we may be holding onto so we can celebrate from a fresh and loving place. Take a minute to think about anyone you may be angry with, even if that anger is not fresh. Then decide to let go. If there is a lot to forgive, just let go of as much as you can for now, and work on it again later. Forgive people you grew up with if you had some childhood experiences you're still angry about. Forgive your spouse or partner if you have any relationship baggage that you're holding onto. If it feels difficult to forgive because you're afraid that you'll open yourself up to getting hurt by them again, realize that the anger itself is hurting you, but you can take steps to change your relationship and the way you are treated in it. Forgive yourself if you're feeling any self-directed anger for anything, such as goals you haven't met, promises to yourself you haven't fulfilled, or mistakes you've made in the past. Just let it all go! If you are unable to get to a place where you can forgive someone or something from the past, and holding onto the associated pain and anger is affecting your wellbeing, you may want to consider working with a professional. Sometimes there are deeper issues to work through, and having the support of a professional can make the process much easier and quicker to move through. Forgiveness can be a real challenge at times. It can help to motivate yourself to go through the process by arming yourself with a clear understanding of why it's worth the effort. Learn what you'll get out of it when you forgive those who have hurt you. Like so many things in life, forgiveness is easier said than done. Here are five strategies to help you to go through the journey from wanting to forgive and let go to actually do it! Do 30-Day Challenges Actually Work?